The question is: Will Nathan Benderson Park serve as the host venue for the 2017 World Rowing Championship? The official decision between Sarasota and Bulgaria won’t come from the International Federation of Rowing Associations until September. (Sarasota is a virtual lock, following a formal recommendation by the Council of the International Federation of Rowing Associations in August.) At stake is a projected $24 million local economic impact. Yet, the popular park and its 2,000-meter rowing course already are winners. In September, Nathan Benderson Park will be awarded the 2013 Florida Award of Excellence from the Florida chapter of the American Planning Association. 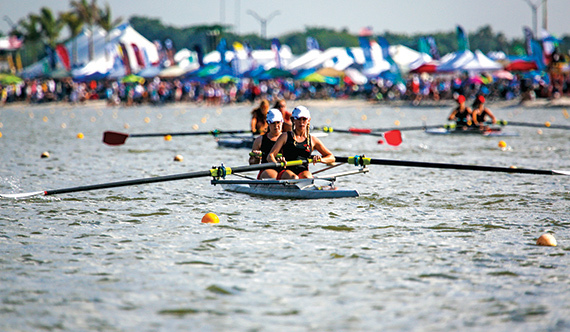 Also, the park hosts the USRowing Masters National Championships in August. Benderson Park exemplifies regional cohesion, as Sarasota and Manatee county officials teamed to submit the world championship bid in June.